The VanEck Vectors Video Gaming and eSports ETF (NYSEArca: ESPO) is up more than 13%, confirming investors’ enthusiasm for the booming eSports market. Major parts of the long-term eSports investment thesis are the massive growth in television viewership and subsequent spending by advertisers. Those themes are experiencing increasing validation. Data indicate that spending on video games is increasing, but that is on the consumer side. Viewership of eSports is also surging. “The appeal is growing as more people—especially TV-averse millennials with disposable income—watch the sport on YouTube, Twitch, and other platforms. 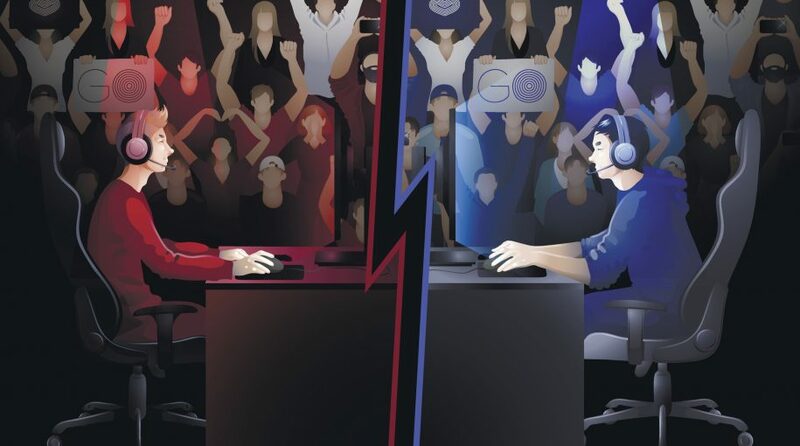 This year, 30.3 million people in the U.S. will view an e-sports event at least once a month, up more than 18% over last year, eMarketer says,” according to Barron’s. By some estimates, current viewership of e-Sports competitions is on par with that of Major League Baseball and the National Hockey League (NHL). ESPO components may include developing video games and related software, streaming services, and/or those involved in eSports events. To be included in the index, companies must generate at least 50% of their revenues from video gaming or eSports, which allows ESPO to have the highest concentration, among U.S.-listed ETFs, of pure play names participating in this fast-growing space. The 2018 Overwatch League “final at Brooklyn’s Barclays Center sold out and was televised on ESPN, while the global monthly audience for e-sports, 167 million, exceeded those for pro baseball and hockey, says market researcher Newzoo. By 2022, the audience will hit 276 million a month, comparable to the NFL,” reports Barron’s.